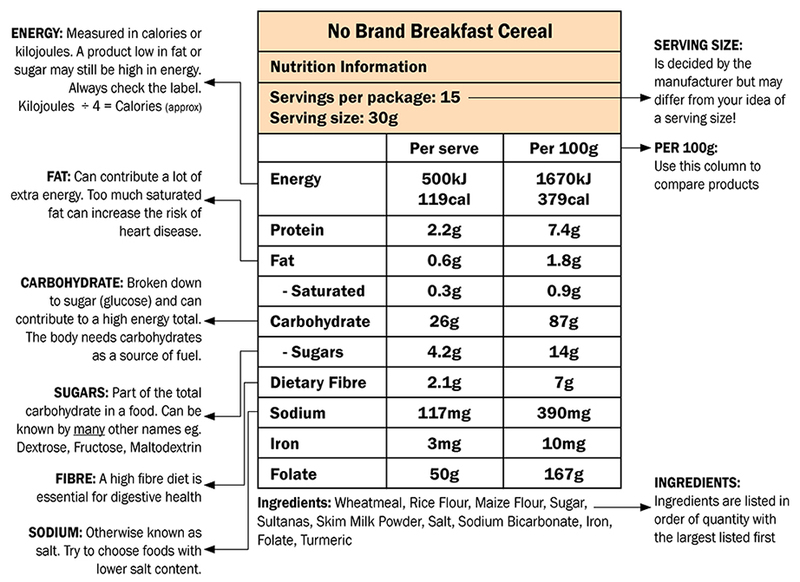 The Nutrition Information label is required by law to appear on most packaged foods and beverages in New Zealand. It provides detailed information about a food’s nutrient content, such as the amount of fat, sugar and sodium. Knowing how to read food labels will make it easier for you to compare similar foods to see which is a healthier choice. The more practice you get reading food labels, the better you can become in using them as a tool to plan your healthy, balanced diet.